Innovation is hot, just like you. Come fire it up! Kigo Asian Kitchen and ChiBang! Bar by Kigo are setting new standards for quick service dining and bar service. Our foundation was built on entrepreneurship, innovation, and nurturing the human spirit through teamwork. The criteria by which we work and the processes we have developed are inspired by some of the most successful and innovative production techniques used in business today. We think and dream big, but we pride ourselves on being a small dynamic and hands-on team with a startup mindset. Our success is driven by our team members ideas and teamwork. No idea is too small or too silly to ponder. We are looking for talent like you to join our talented teams or entrepreneurs. A smile, great attitude and commitment to quality is all it takes. Each day you’ll interact with customers, build orders, and prepare the ingredients for our stir-fry bowls, salads, and sandwiches. Show up and have fun working in our quick-fired kitchen. Team leads ensure that our customers, products, and operations meet our standards everyday. They lead their teams to success with attention to detail, exceptional customer service, and coaching skills. Managers are responsible for creating great environments for both their customers and their teams. They solve problems and look for opportunities to grow their business and teams. These team members keep the trains running on time at Kigo. They are committed to efficiency, accuracy, food safety and quality. Our crew must have exemplary attendance and time management skills to ensure smooth operations each day. 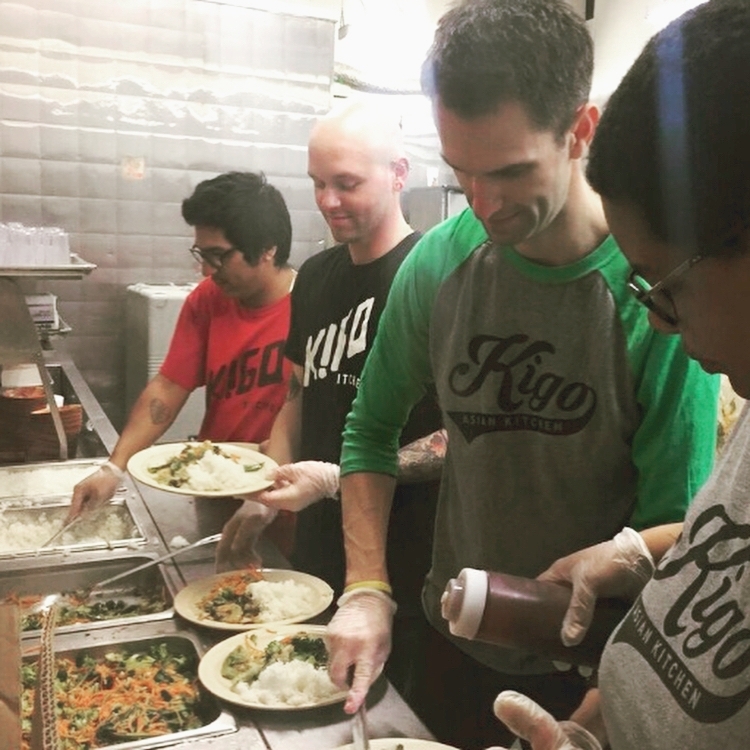 Our support team is made up of uniquely talented individuals who are passionate about the restaurant industry, supporting people, and upholding Kigo’s mission. As a fast growing company, we are always looking to add motivated people to our team.